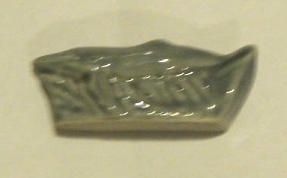 "Miniature Wade Whimsey Figure - Shark"
No, not a shark - it doesn't even have any teeth! This is an Endangered North American Humpback Whale. "No I Ain't Lion So Wade On In See For Yourself"
I know it really is a lion, but I just thought the play on words was funny. 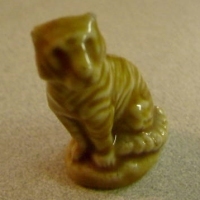 "Wade Figurine,,,,,,,,Nursery Ryme,,,,,,,'Nat King Cole"
I doubt this "king" can play jazz piano and sing pop songs because it's OLD King Cole from the nursery miniatures set. 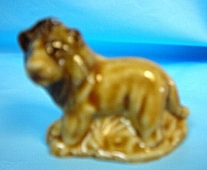 "Rare Wade Lion Porcelain Figurine"
Remember.....the animal with the STRIPES on it is the TIGER! 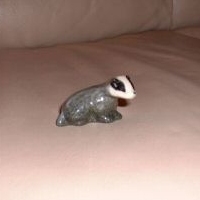 This poor little Badger would have a hard time posing as a skunk without the white stripe down it's back or the big fluffy tail! 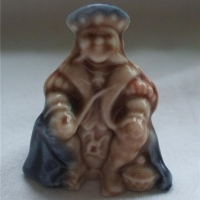 "Wade Whimsies Henry the Eighth"
Well, perhaps Henry The Eighth looked similar to Old King Cole! 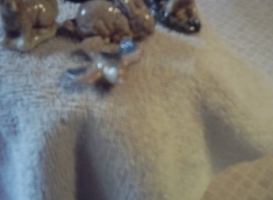 Maybe, if the picture wasn't blurry and maybe if we could see all of the figures, then maybe we could tell what the 5 Wade Ornaments were! 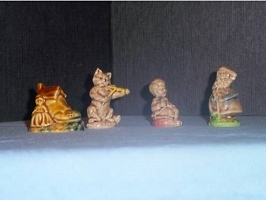 "wad miniture figurines, nursery rhymes"
What was really amazing about this listing was the price "$1750.00". 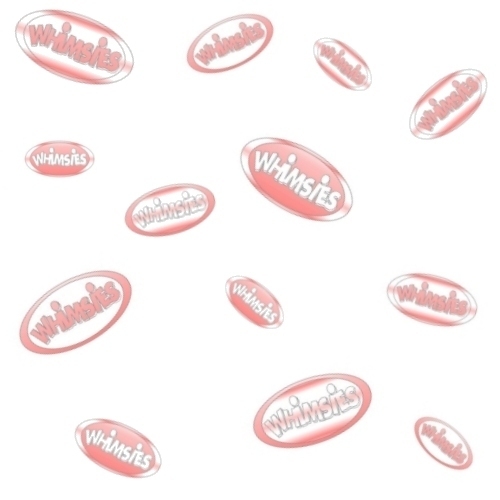 Now I know Wades can go up in value but that's a little much! 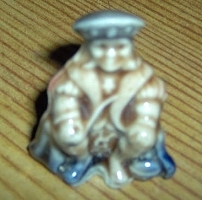 "Wade Figurines x 10 - Crosslegged Meditating Man, et.al"
Okay, this one's pretty funny! This "Crosslegged Miditating Man" is actually the Leprechaun Tailor.